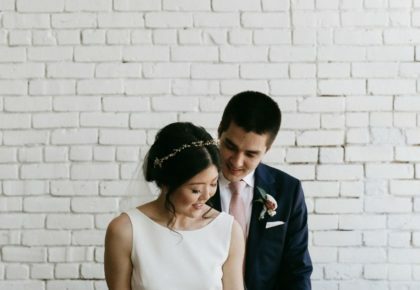 Rachel Bayless and Blair Rossetti’s summer brunch wedding captured by Austin wedding photographers Honey Gem Creative combines so many of our favorite things! 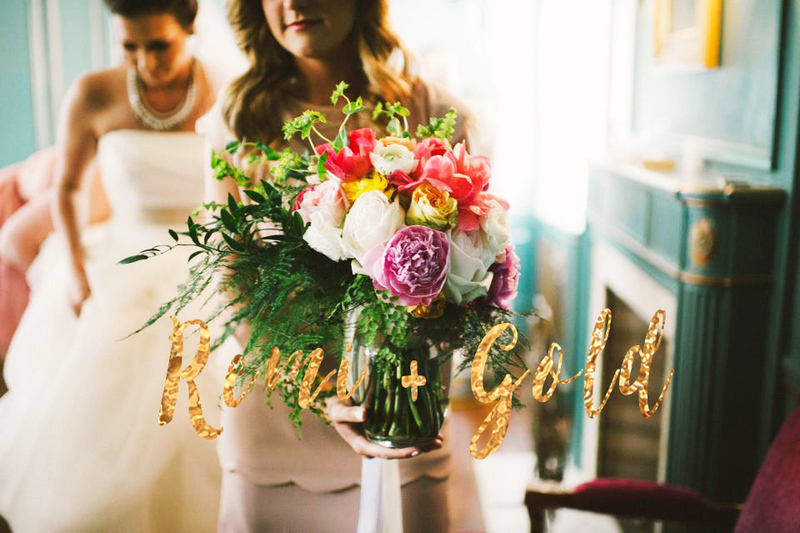 Brunch weddings are so warm and intimate, add to that the elegant fresh florals from Remi + Gold and you have the perfect mid-morning soiree. 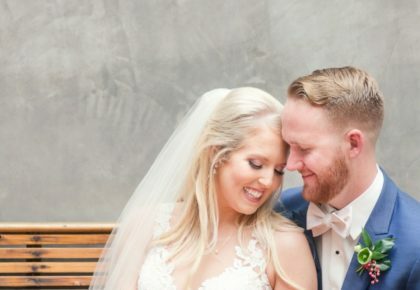 Cheers to this beautiful couple! Rachel and Blair first met in college, but reconnected years later. When it came time propose, Blair arranged a weekend getaway to a cabin in the mountains where he was planning to pop the question. Unfortunately, a jeweler that Blair did not actually purchase a ring from sent a “we’re sorry you didn’t go with us this time, but we hope you come back in the future” card in the mail. Rachel, who never checked the mail, decided that was a good day to start. When it was finally revealed that the jig was up, Blair made some changes in the eleventh hour to keep the element of surprise. 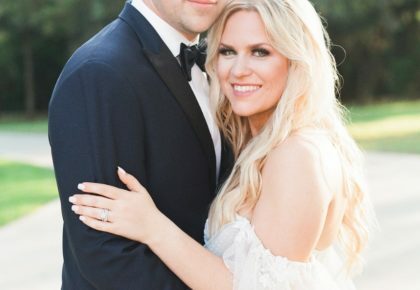 On a low-key evening at home, Blair proposed on the anniversary of the day they rekindled their relationship — a few weeks before the cabin trip. Rachel was indeed surprised. It was perfect! The couple celebrated their nuptials with a brunch wedding at Barr Mansion on July 15, 2017.